At Edible Arrangements®, we don’t make just good products, we WOW Guests every day with our freshly-crafted creations. So, when we decided to put our Fruit Expert® know-how into making froyo, we made it our way…the fruitful way. Non-fat frozen yogurt with a delicate, neutral, creamy vanilla flavor profile, chosen specifically to complement our fresh fruit purees. In a word: YUM. The biggest difference between ours and all that other “stuff” is that we don’t stuff our frozen yogurt with candy and gummy bears. We custom blend your selection of 100% fresh, never frozen fruit puree and/or juice with our perfect froyo base, creating a personalized and refreshing experience just for you. By mixing our froyo with one or more types of fruit, we can offer over 100 different varieties! Hand-crafted products are our signature. That’s why we take your personal mix of ingredients and blend every order one by one. The result? A consistently yum-worthy taste with every bite, and an artisan, handmade appearance. And (because we are the Fruit Experts®, after all) we don’t stop there… we also top each froyo with your choice of 100% fresh, never frozen fruit! Who else can do that?! In other words, our froyo could not be further from your typical idea of “froyo!” That’s because we don’t just make any old froyo… we make Edible Arrangements® Froyo Fruit Blends™, our take on frozen yogurt. 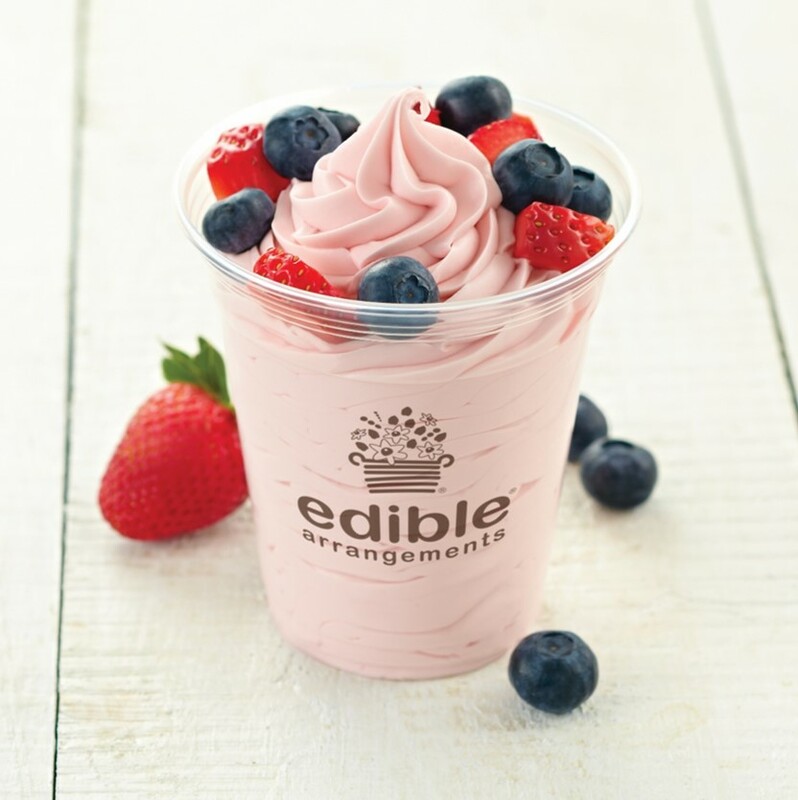 Froyo Fruit Blends™ are currently available in select Edible Arrangements® stores. Contact your local store for details.